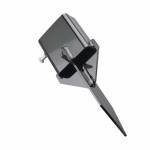 AR500 Target Stands offer seven different ways to set up your favorite AR500 Steel Target. 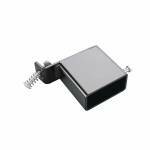 All of them feature a solid steel construction specifically designed to take whatever you shoot at it. Set up targets in seconds. Solid steel construction Works with all Center Mass steel targets Multiple designs for multiple needs Designed with ultimate durability ..
AR500 Steel Targets give shooters the "ping" feedback today's shooters are looking for while target shooting. AR500 steel can withstand most of the larger caliber rounds being sent down range. 10" Square 3/8" thick for rifles Mounting holes for hanging with bolt and chain (hardware not included) ..
AR500 Steel Targets give shooters the "ping" feedback today's shooters are looking for while target shooting. AR500 steel can withstand most of the larger caliber rounds being sent down range. 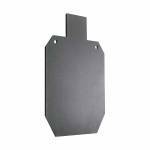 12" Square 3/8" thick for rifles Mounting holes for hanging with bolt and chain (hardware not included) ..
AR500 Steel Targets give shooters the "ping" feedback today's shooters are looking for while target shooting. AR500 steel can withstand most of the larger caliber rounds being sent down range. 33% IPSC 3/8" thick for rifles Mounting holes for hanging with bolt and chain (hardware not included) ..
AR500 Steel Targets give shooters the "ping" feedback today's shooters are looking for while target shooting. AR500 steel can withstand most of the larger caliber rounds being sent down range. 4" Gong 3/8" thick for rifles Mounting holes for hanging with bolt and chain (hardware not included) ..
AR500 Steel Targets give shooters the "ping" feedback today's shooters are looking for while target shooting. AR500 steel can withstand most of the larger caliber rounds being sent down range. 4" Square 3/8" thick for rifles Mounting holes for hanging with bolt and chain (hardware not included) ..
AR500 Steel Targets give shooters the "ping" feedback today's shooters are looking for while target shooting. AR500 steel can withstand most of the larger caliber rounds being sent down range. 66% IPSC 3/8" thick for rifles Mounting holes for hanging with bolt and chain (hardware not included) 19.75" Tall by 11.5" Wide ..
AR500 Steel Targets give shooters the "ping" feedback today's shooters are looking for while target shooting. AR500 steel can withstand most of the larger caliber rounds being sent down range. 8" Gong 1/4" thick for pistols Mounting holes for hanging with bolt and chain (hardware not included) ..
AR500 Steel Targets give shooters the "ping" feedback today's shooters are looking for while target shooting. AR500 steel can withstand most of the larger caliber rounds being sent down range. 8" Gong 3/8" thick for rifles Mounting holes for hanging with bolt and chain (hardware not included) ..
AR500 Steel Targets give shooters the "ping" feedback today's shooters are looking for while target shooting. AR500 steel can withstand most of the larger caliber rounds being sent down range. 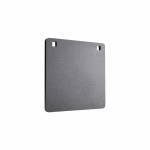 8" Square 1/4" thick for pistols Mounting holes for hanging with bolt and chain (hardware not included) ..
AR500 Steel Targets give shooters the "ping" feedback today's shooters are looking for while target shooting. AR500 steel can withstand most of the larger caliber rounds being sent down range. 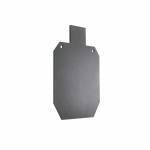 8" Square 3/8" thick for rifles Mounting holes for hanging with bolt and chain (hardware not included) ..
AR500 Steel Targets give shooters the "ping" feedback today's shooters are looking for while target shooting. AR500 steel can withstand most of the larger caliber rounds being sent down range. 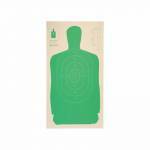 Full Size IPSC 3/8" thick for rifles Mounting holes for hanging with bolt and chain (hardware not included) ..
Champion B27 24x45" Cardboard Silhouette Targets. Feature a high contrast green silhouette, scoring are and LE approved scoring rings. High contrast green for instant shot placement recognition Scoring table for keeping track of performance and rounds Sold Individually ..
Champion B27 24x45" Paper Silhouette Targets. Feature a high contrast green silhouette, scoring are and LE approved scoring rings. High contrast green for instant shot placement recognition Scoring table for keeping track of performance and rounds Sold Individually Item may have to be folded to ship. ..
Champion B27 24x45" Paper Silhouette Targets. Feature a high contrast green silhouette, scoring are and LE approved scoring rings. High contrast green for instant shot placement recognition Scoring table for keeping track of performance and rounds Sold Individually Item may have to be folded to ship. 10 Per Package .. 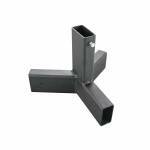 The Champion Center Mass Steel Chain Target Hanging Set is designed to work with Champion Center Mass Steel Targets. 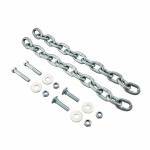 The Chain comes with a set of screws, washers, and nuts to attach to any Champion Center Mass Target. .. 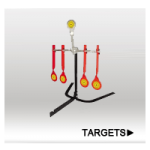 The Champion Center Mass Steel Rubber Strap Target Hanging Set is designed to work with Champion Center Mass Steel Targets. 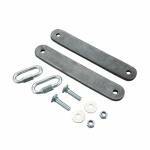 The Rubber Straps come with clamps, screws, washers, and nuts to hang any Champion Center Mass Target with ease. ..